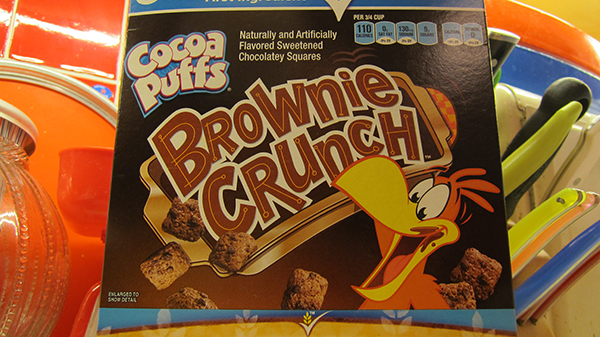 Made by Cocoa Puffs. 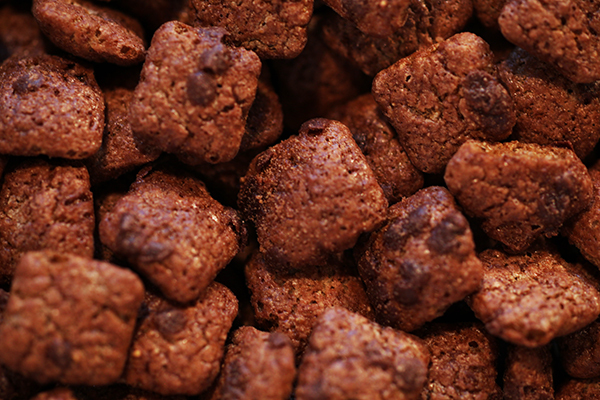 Tastes EXACTLY like Cocoa Puffs. Which is delicious. Sonny's on the box, with chocolate on his face. He's also wearing a potholder. 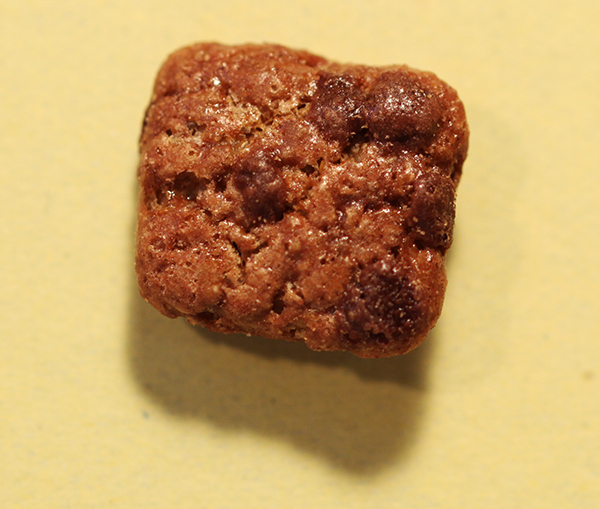 Detail of a Brownie Crunch. I guess everyone's a chef these days!! !